Over 500,000 people have fled from Myanmar since August 25. More than half a million forcibly displaced Myanmar citizens now live in Bangladesh, and 10,000 more arrive every day. The scale of the crisis is unprecedented, and difficult to grasp. Tired, sick and hungry, many have trekked for weeks to get to the border. They have no homes and no possessions, and have arrived in a damp, muddy hillside with no drinking water, shelter, food, medical services or latrines. It is one of the biggest humanitarian crises the world has faced in recent times. More than half of the new arrivals are children, many of them not even a year old and many unaccompanied. There are many people helping, but the need is much higher than the support available, and the need is growing every day. BRAC has currently 700 staff on the ground, including doctors, paramedics, midwives,counselors, engineers, and community health workers. 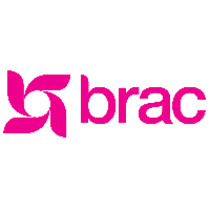 Please visit response.brac.net to follow our work and donate. People urgently need your support.